Discover fast, interesting fun facts for kids with some amazing, cool and quick information. Ideal for children, homework, schools, teachers and kids of all ages! Find fascinating fun facts for kids about animals, science, birds, countries, earth, planets, famous people, places and places - the wonders of the world both ancient and modern. Interesting and random fun facts for kids about the different holidays including Thanksgiving, Halloween and Christmas. 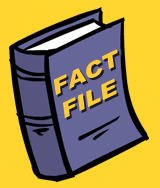 Enjoy our fast, fun facts for kids in a useful fact file format on fact sheets on each of the different subjects. Fast fun facts for kids with a funny video on every page to make the learning process easy, funny and great fun! 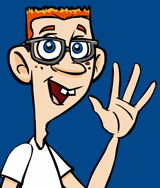 Fast fun facts for kids with free pictures and photos - ideal for fast homework help! Looking for help with homework and school? Find out fast, fun facts and interesting information using our useful fact files and fact sheets on animals. The free Facts Files and Fact sheets on animals provide interesting, amazing, fun facts and information, together with pictures, photos and a fun video. The free fact files and free fact sheets include cool info and a great guide to amazing animals such as gorillas, tigers, lions, dolphins, killer whales, dogs, butterflies, polar bears, penguins and lots more! Find out quick, fun facts and interesting information using our useful fact files and fact sheets on science. The free Facts Files and Fact sheets on science provide interesting, amazing, fun facts and information, together with pictures, photos and a fun video on scientific subjects. The free fact files and free fact sheets on science include cool info and a great guide to amazing subjects on science and chemistry such as the elements including hydrogen and oxygen, physics, batteries, energy, global warming and and lots more! Read about cool, fun facts and interesting information using our useful fact files and fact sheets on countries and travel. The free Facts Files and Fact sheets on countries and travel provide interesting, cool, fun facts and information, together with pictures, photos and a fun video about each of the countries. The free fact files and free fact sheets include cool info and a great guide to countries such as France, Australia, Brazil, England, Ireland, Japan, Canada, Spain and Argentina. Find out amazing, fun facts and interesting information using our useful fact files and fact sheets on America. The free Facts Files and Fact sheets on America provide interesting, amazing, fun facts and information, together with pictures, photos and a fun video on the different states. The free fact files and free fact sheets include cool info and a great guide to the different states of America including Florida, Maine, New York, Hawaii and Virginia to name but a few! Find out fast, fun facts and interesting information using our useful fact files and fact sheets on the Presidents of America. The free Facts Files and Fact sheets on the presidents of the United States provide interesting, cool, fun facts and information, together with pictures, and a fun video. The free fact files and free fact sheets include cool info and a great guide to the presidents of America including Washington, Lincoln, Kennedy and Barack Obama. Each complete with some really unique pictures and videos. Find out cool, fun facts and interesting information using our useful fact files and fact sheets on Earth. The free Facts Files and Fact sheets on planet Earth provide interesting, amazing, fun facts and information, together with pictures, photos and a fun video. The free fact files and free fact sheets include amazing information on subjects to subjects including Volcanoes, earthquakes, oceans and rivers. Discover about random, strange and odd, fun facts and interesting information using our useful fact files and fact sheets on animals. The free Facts Files and Fact sheets on animals provide interesting, amazing, fun facts and information, together with pictures, photos and a fun video. The free fact files and free fact sheets include cool info and a great guide to amazing animals such as gorillas, tigers, lions, dolphins, killer whales, dogs, butterflies, polar bears, penguins and lots more! Learn about out strange, weird, amazing, odd, fun facts and interesting information using our useful fact files and fact sheets on animals. The free Facts Files and Fact sheets on animals provide interesting, amazing, fun facts and information, together with pictures, photos and a fun video. The free fact files and free fact sheets include cool info and a great guide to amazing animals such as gorillas, tigers, lions, dolphins, killer whales, dogs, butterflies, polar bears, penguins and lots more! Read about fast, fun facts and interesting information using our useful fact files and fact sheets on animals. The free Facts Files and Fact sheets on animals provide interesting, amazing, fun facts and information, together with pictures, photos and a fun video. The free fact files and free fact sheets include cool info and a great guide to amazing animals such as gorillas, tigers, lions, dolphins, killer whales, dogs, butterflies, polar bears, penguins and lots more! Find out fast, fun facts and interesting information using our useful fact files and fact sheets on animals. The free Facts Files and Fact sheets on animals provide interesting, amazing, fun facts and information, together with pictures, photos and a fun video. The free fact files and free fact sheets include cool info and a great guide to amazing animals such as gorillas, tigers, lions, dolphins, killer whales, dogs, butterflies, polar bears, penguins and lots more! Funny and Fun Facts for Kids via Videos! 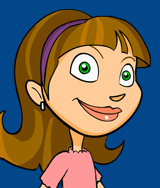 Discover interesting information with our funny and fast facts for kids via videos. Every article has a different funny video to make the learning process easy, fast and fun. Great for kids and children of all ages and ideal for homework help and as a free aid to teachers and parents. Our funny videos contain facts about every subject and are guaranteed to help with knowledge retention making the whole learning process quick and easy. Enjoy our funny videos on animals, planets, the Presidents, birds, science, famous people and places, facts on America and other countries. Info the easy way with our free, funny videos on every topic.